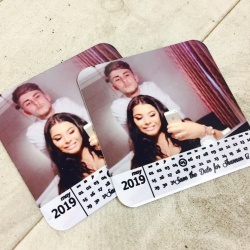 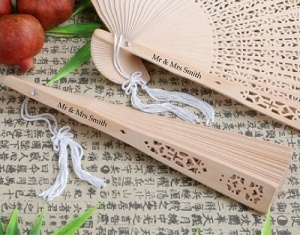 Your guests are sure to be big fans of these personalised sandalwood fan favours. 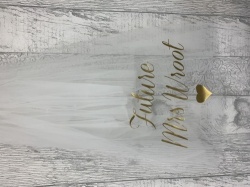 Treasured for thousands of years, sandalwood is a uniquely fragrant wood known for its distinct colour and its ability to support intricate carvings. 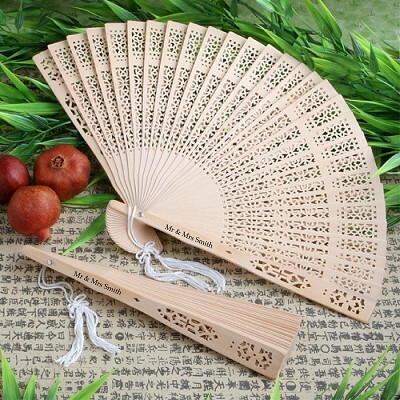 Each foldable, natural-sandalwood-coloured fan measures 8 inches x 14 inches and has an intricate carved design on its panels with a delicate white tassel attached to its handle. Perfect for summer occasions, outdoor weddings, garden parties and much more, each Solefavors exclusive sandalwood fan favor comes packaged in a white gift box.